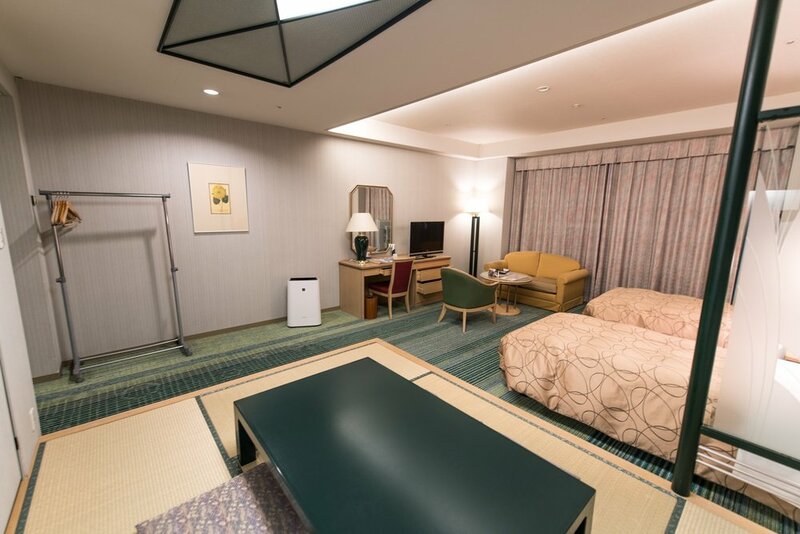 The popular Family Room guest rooms offer a spacious and pleasing mix of Japanese and Western styles. 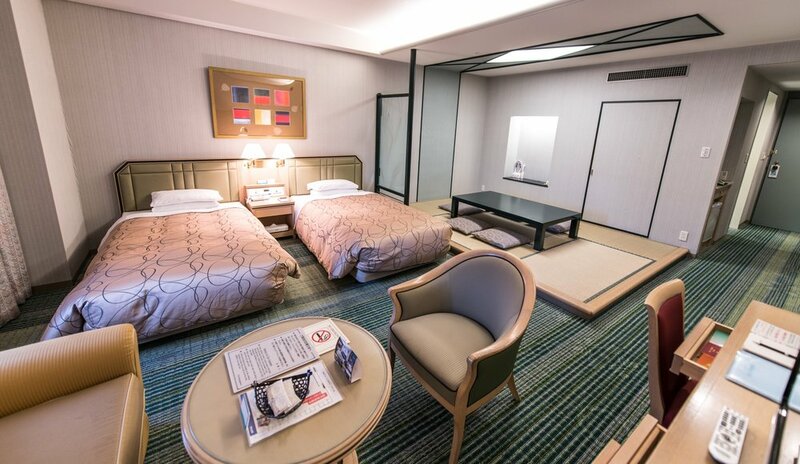 These rooms can sleep up to five people and feature two large beds as well as a slightly elevated Japanese-style tatami mat area which can sleep up to three people in futon bedding. 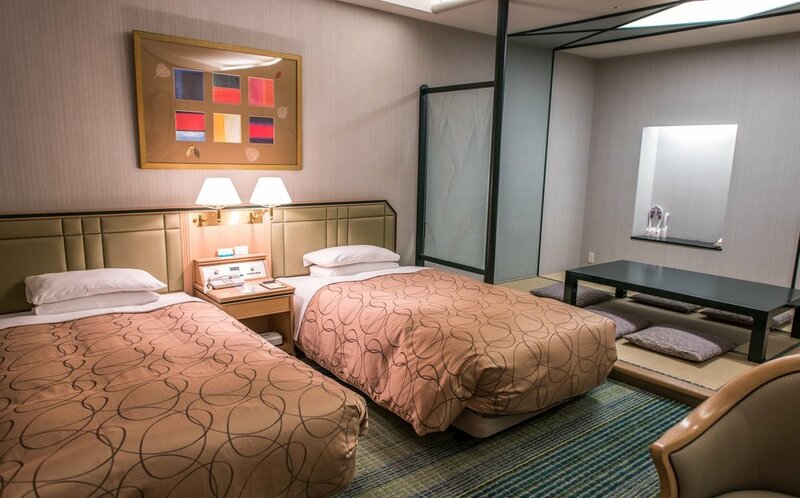 The futon bedding is laid out by room service in the evening unless otherwise instructed. These rooms have a bathroom and two extra basins. Recommened for families with children.